After all the excitement of seeing the Amaryllis beginning to re-bloom this year and dutifully taking pictures and making notes, I didn’t get round to the most important picture of all, which is a shot of the four large open trumpet flowers! There are enough pictures of Amaryllis buds, stalk and leaves, but by the time I got round to taking a photo of the flowers themselves, they had faded and so I had to cut them off. To be fair we were also away during a lot of the time when they were open so unfortunately, they were showing off to an empty room. 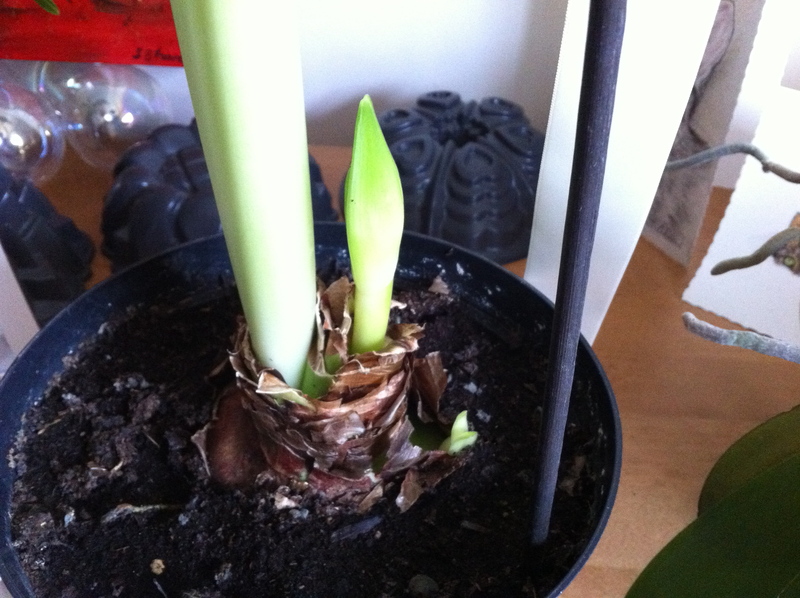 All is not lost though as the second flower spike has made an appearance and will soon be rocketing up, there’s also what looks like an off-set from the mother bulb that I will take a closer look at and pot-on later next year.